Have you been looking for our online Egg Donor Database? Notice we don’t have one? We won’t either. We aren’t exactly fans of Egg Donation Databases. We know most egg donation agencies have one. We know what we do is a little out of the norm. Client experience is just more important to us than convenience. Being an Intended Parent myself, I have spent hours pouring over Egg Donor profiles over the years. Depending on where the database is based, you can search by age, or location, and possibly price. At the top of the list, there are blonde haired, blue eyed, ivy league law students, and Jewish women, who always seem to be in demand. For these high demand eggs, Intended Parents can expect to pay many thousands of dollars. On the other end of things, you’ll find weary looking women with who appear as though they have very little hope. It’s all a bit traumatizing. I’m so grateful for altruistic egg donation. In Canada, it is illegal to purchase eggs and embryos. Although it can still be rather costly to reimburse an Egg Donor for donation-related expenses and have her eggs retrieved, it eliminates the gross valuation of genetic material and women. There is something that just felt so wrong about these Egg Donor Databases to me. How must these women feel? 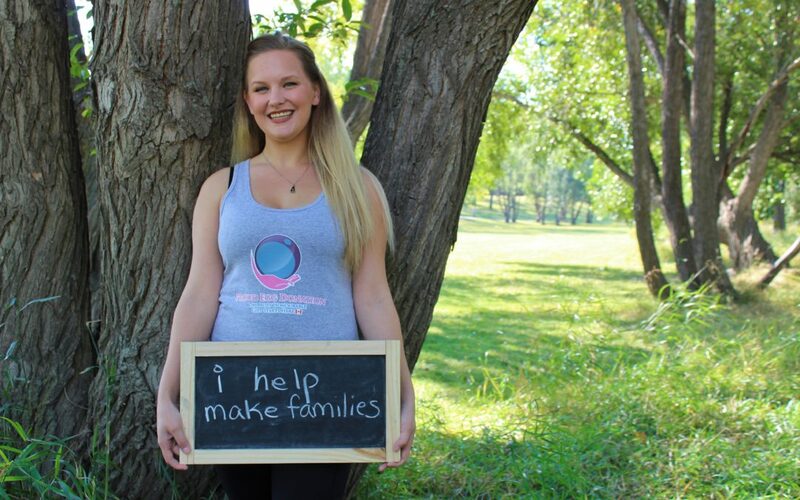 Egg Donors are real people, real women with families, and aspirations, and dreams, who, at least in Canada, just want to do something good for someone else. How can one put a value on that? It is truly the ultimate gift of kindness. After meeting many experienced Egg Donors, I have also discovered a dirty little secret about Egg Donor Databases: The information presented on them isn’t always true. Whether by administrative error, or with deceitful intent, the information presented about an Egg Donor can be inaccurate. When choosing a person that will contribute half of your child’s genetics, knowing the information you have about them to be true is very important. What is the Alternative to Egg Donor Databases? So, you may be wondering what the alternative to Egg Donor Databases is. What if you could talk to your Egg Donation Agency about what you wanted in an Egg Donor. What qualities are important to you? What physical features do you have a preference for? Do you have specific desires for ethnicity, cultural background, education, or blood type? This is exactly what we do at Proud Egg Donation. We get to know you. We also get to know our Egg Donors. You’ll have the opportunity to meet your Egg Donor, get to know them and confirm the information you’ve been given. You will also have the opportunity to stay in touch with your Egg Donor. It allows you to stay aware of family health history and allows her to get updates on your journey. It isn’t necessary to stay in touch on a constant basis, but many of our clients choose to have a clause about annual updates in their Egg Donation Agreements. This is called known egg donation. We know that known egg donation is not for everyone. You may not be comfortable meeting your Egg Donor. Some Egg Donors would prefer to remain anonymous, too. When families choose anonymous egg donation, we make sure the process is a smooth one. Proud Egg Donation isn’t about scrolling through a cold database of women. Our focus is on fostering relationships and helping people become Parents in a legal, healthy, and respectful manner. We like to think of ourselves as a boutique style egg donation agency. We are the ones to talk to if you want to know exactly who your Egg Donor is, and that they’re donating their eggs for the right reasons.